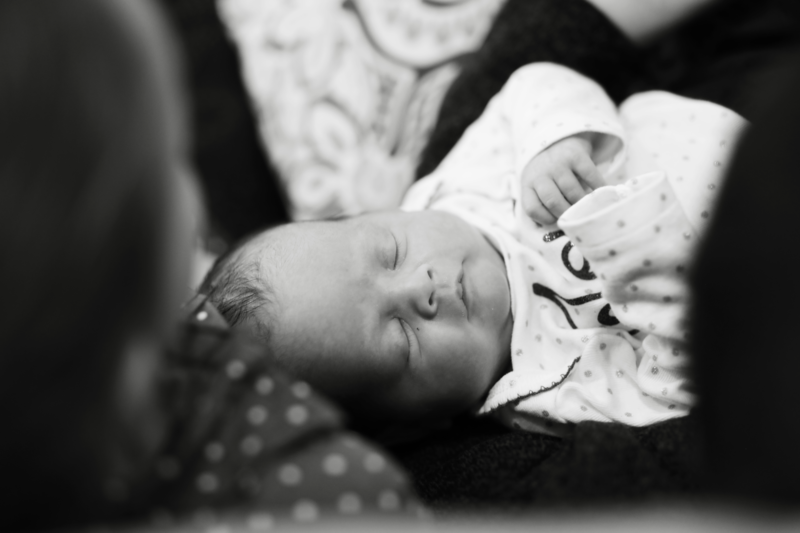 How exciting it was to find out that God was blessing us with our fourth precious child to love and raise! At 19 weeks we found our that Mom had a rare pregnancy complication that would cause our sweet girl to be born early. 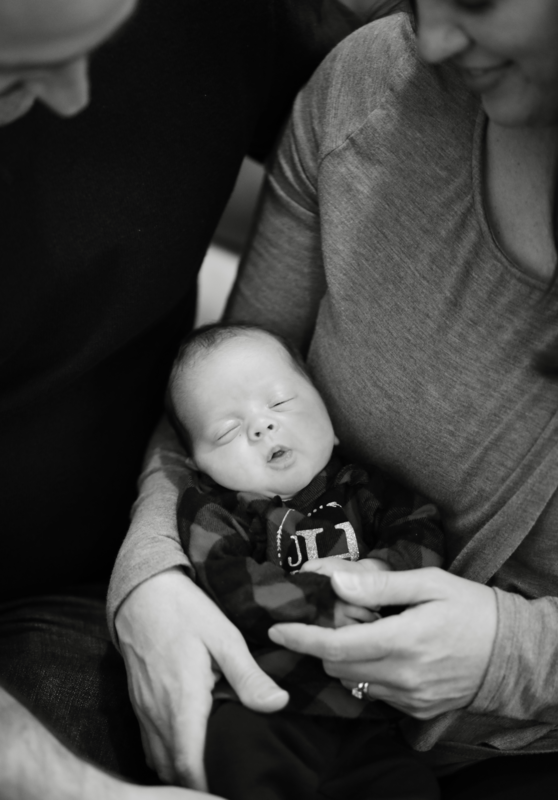 Although we had high hopes of a scheduled delivery at 34 weeks, an emergency required delivery at 31 weeks. Our sweet Jovie (meaning strong and happy) stayed in the NICU for 6 weeks, where she received the most outstanding care! One of our greatest gifts during this journey was The Alyssa House, and the wonderful people that we met along the way! Our gratitude cannot be expressed adequately with words, but we will always remember this blessing and will pray for this ministry always! 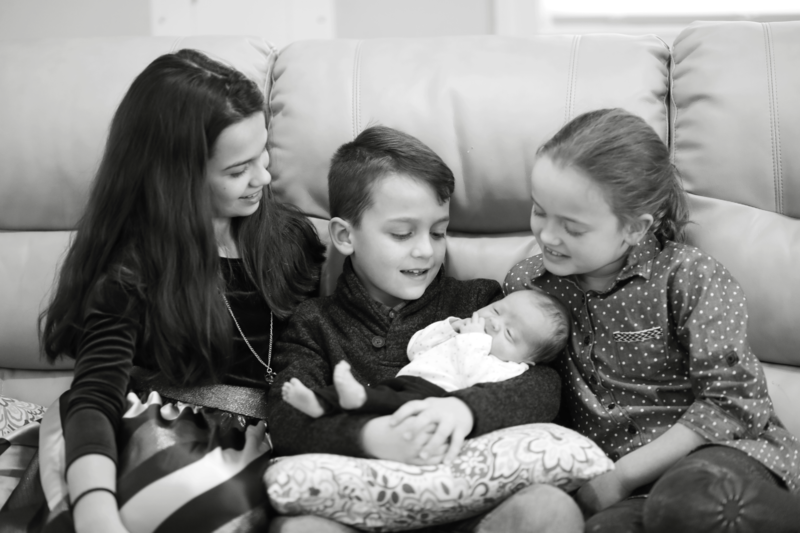 Will, Ashley, Victoria, Emery, Davis, and baby Jovie. Christmas came early, thanks to our incredible friends at Mason’s Toy Box! 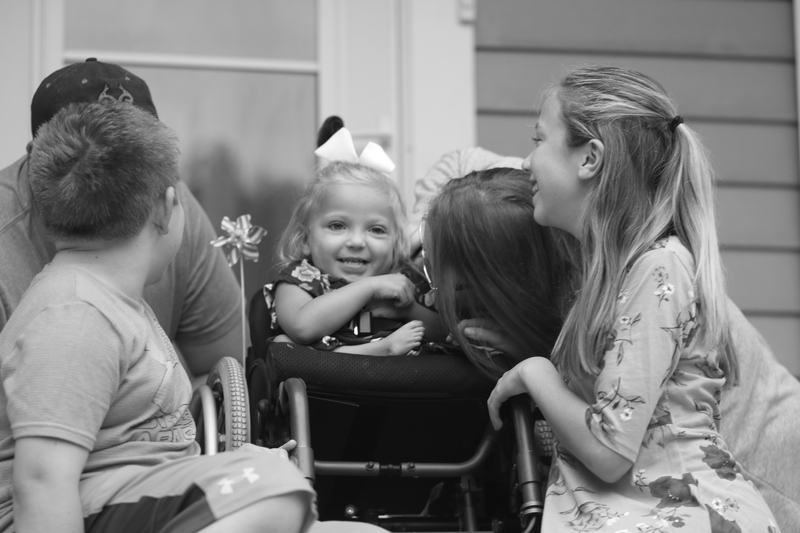 Mason’s Toy Box went above and beyond for this former Alyssa House family, and surprised Elaina on her 4th birthday. 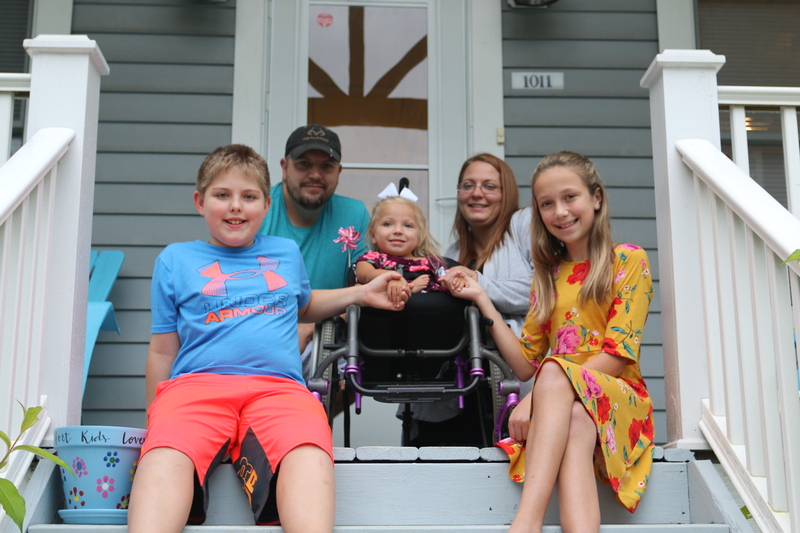 Elaina and her family stayed The Alyssa House this summer, while recovering from an emergency dialysis surgery. 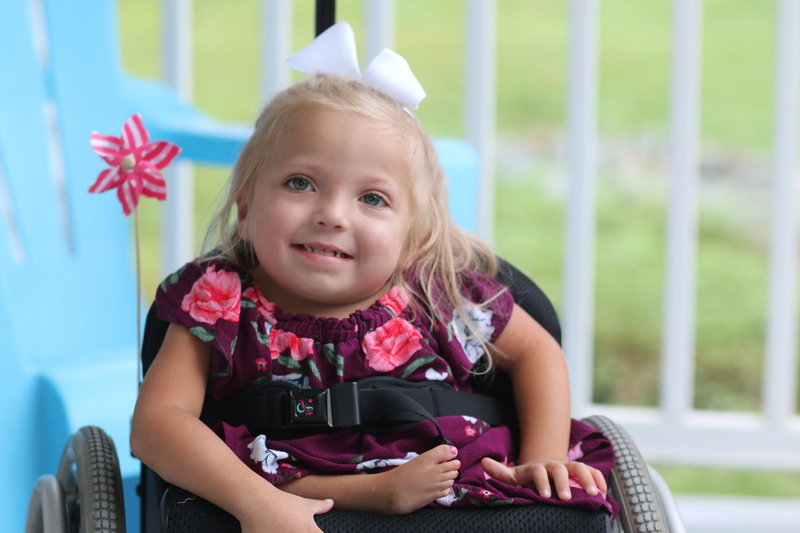 Elaina received a new handicap accessible power wheels, which will help her play outside with her sibling and other kids her age! 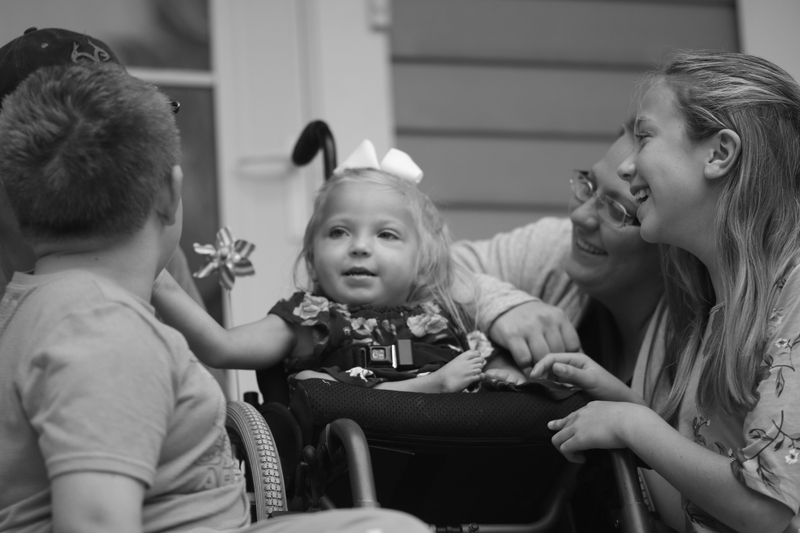 Elaina has caudal regression syndrome and uses a wheelchair. A huge thank you to Mason’s Toy Box, for all they do for pediatric patients and their families. The Alyssa House is so grateful to be surrounded by such a loving organization and caring community. 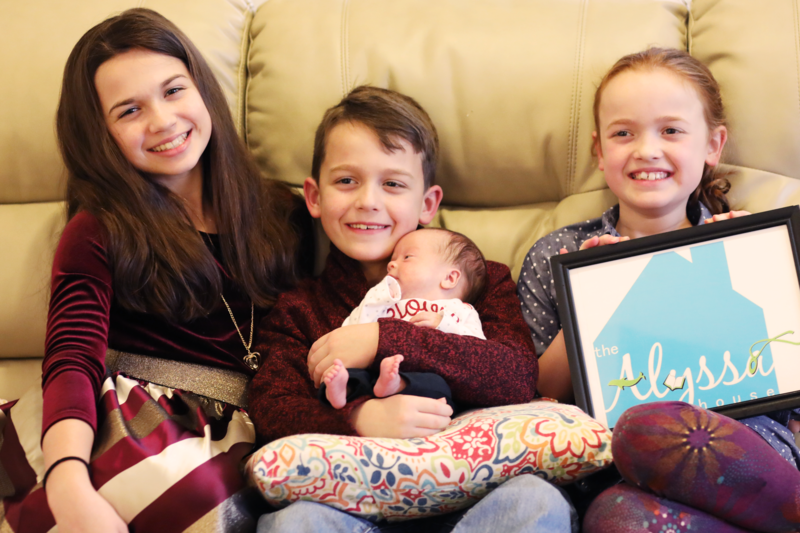 “I just want to thank The Alyssa House for allowing my family to be together for such a scary time in our lives, for loving on us, and making sure all our needs were met. You took a huge weight off our shoulders. 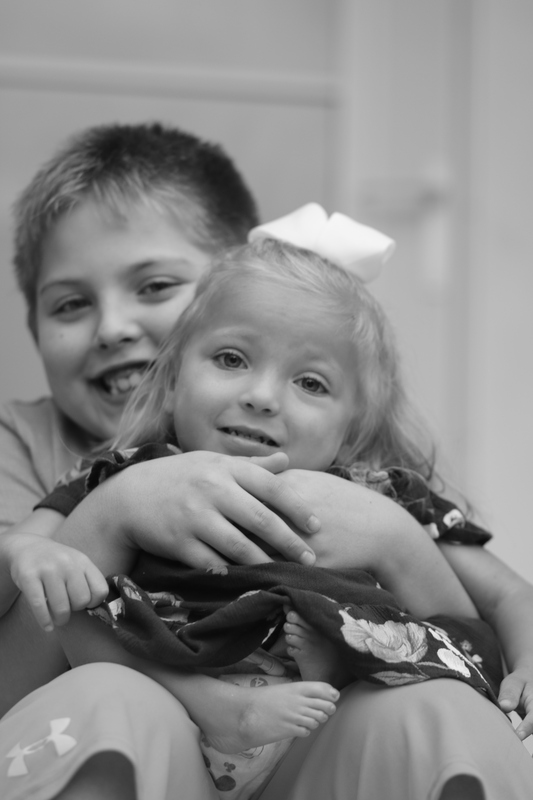 “We came to UVA Children’s Hospital for an emergency dialysis surgery. We came fighting. We couldn’t see the end. Thank you to UVA doctors, nurses, and all staff for caring for my baby girl. You loved on us all and always encouraged us. You got my baby feeling so much better and I will always be grateful for that. “I can’t thank you all enough for what you’ve done for our family. 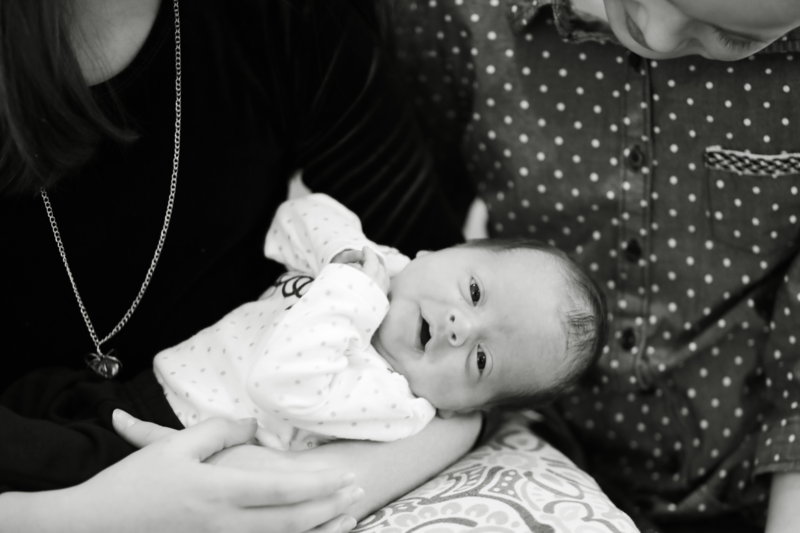 Hearing the news that my daughter Layla would need a second heart transplant was terrifying. 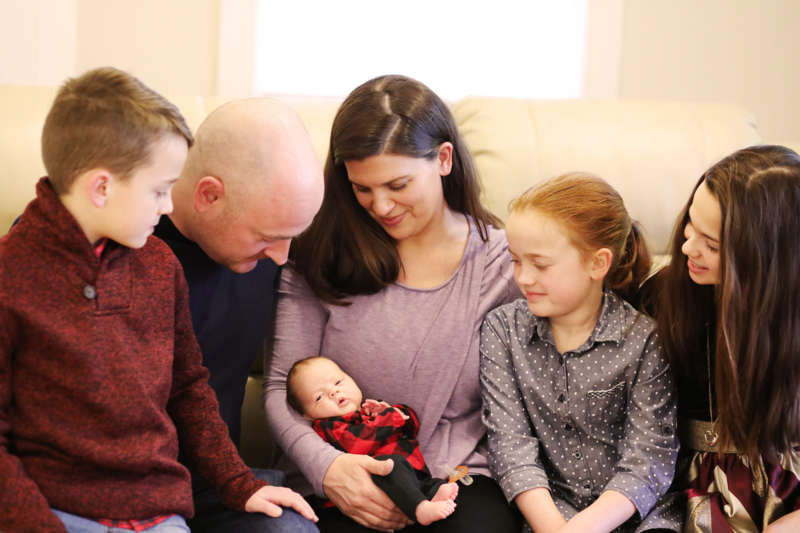 “When we decided to come to the University of Virginia Children’s Hospital, it was very stressful trying to figure out where we would live and how we would get by being so far away from our family in Pennsylvania. 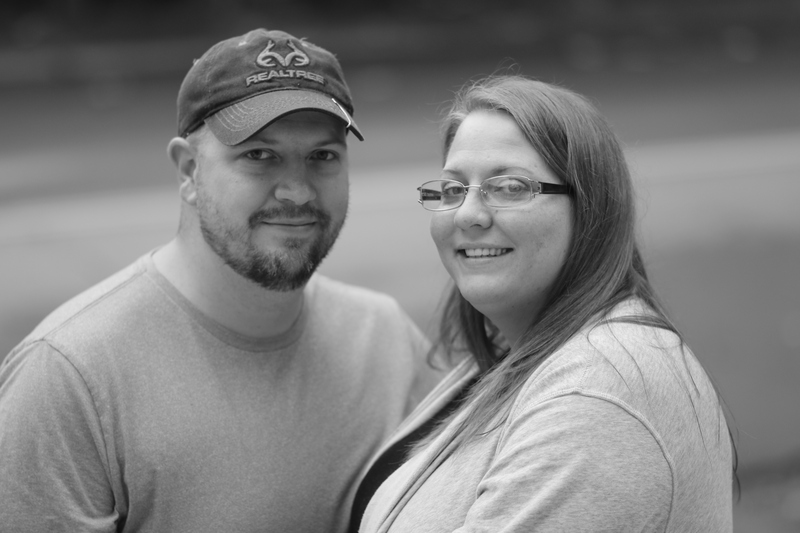 “You took away all that stress and worry by giving us a place to call home for four months. It has truly meant the world to us. “Thank you for all your generosity and love. 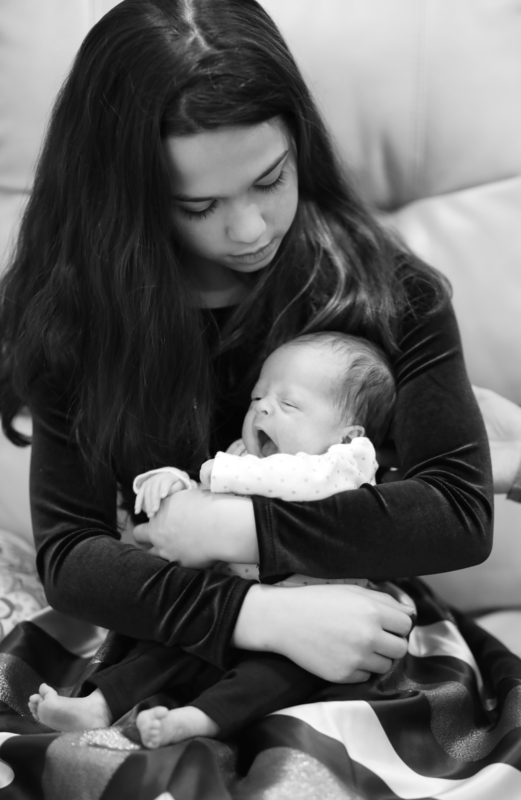 We were welcomed with open arms and I think that has made a huge impact on Layla’s recovery. “Layla was born on March 30, 2007 with Hypoplastic Left Heart Syndrome. She had her first open heart surgery at 3 days old, her second at 6 months old, and then her first heart transplant a month after her 1st birthday. 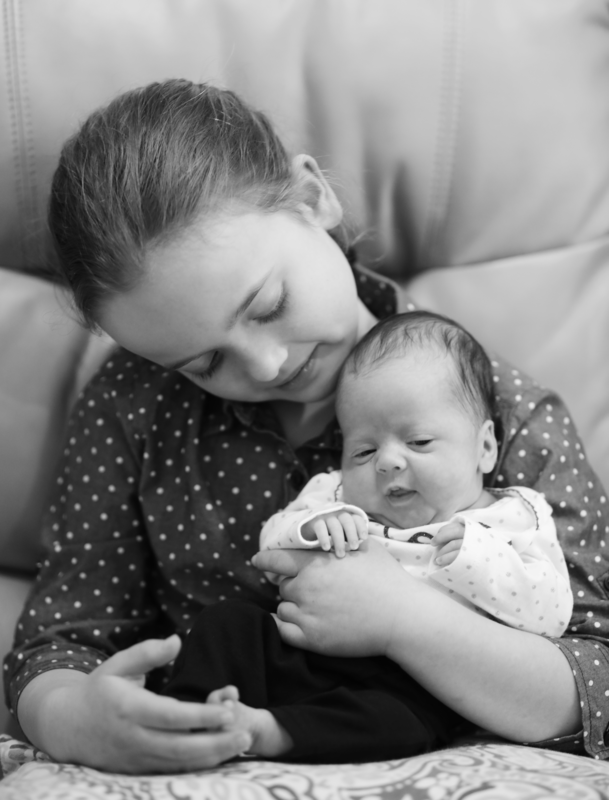 “She battled countless complications in the years after her transplant. She had feeding issues, rejection, PTLD, absorption problems in her intestines, infections, and tumors. We thought she was finally in the clear in 2016. However, in April of 2017, she went into severe heart failure. The University of Virginia Children’s Hospital was willing to list her for a second risky heart transplant. 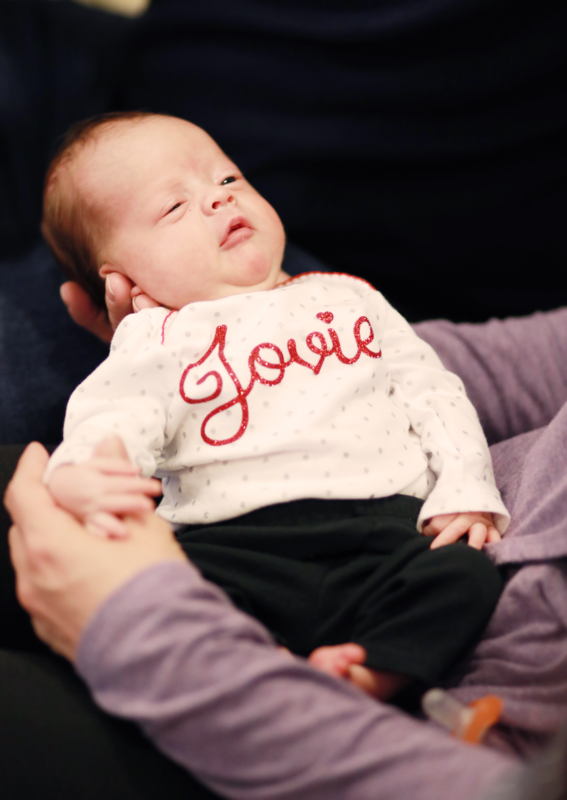 “In July, Layla was transferred and on September 21st, she received her second gift of life. She was discharged and we went to live at The Alyssa House. 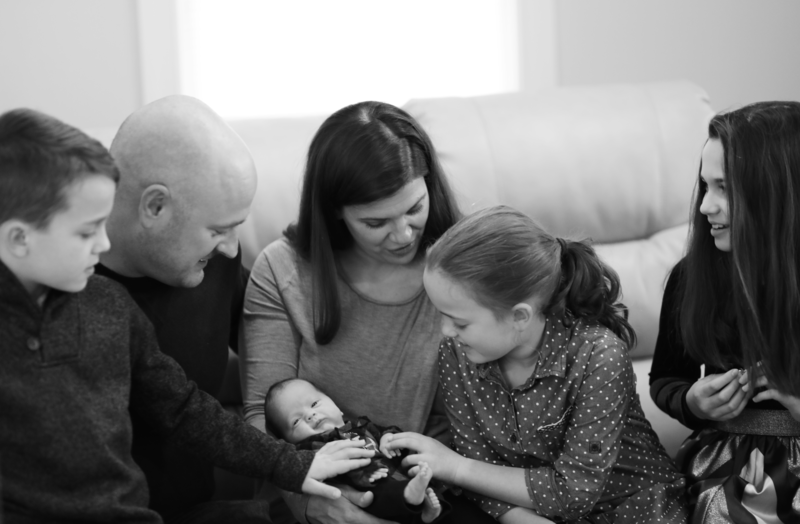 The Alyssa House is proud to have joined several other Charlottesville nonprofits to meet the ever growing demand for lodging for families of patients at the University of Virginia Children’s Hospital. Learn more about our work in the Housing Collaborative in the local press coverage from The Daily Progress and NBC29.